Essays / Spirituality / Is the Medulla the Home of Ego? Is the “Medulla the Home of Ego”? Well, yes and no. It’s only partially true. It’s helpful to understand how it is, and how it isn’t. 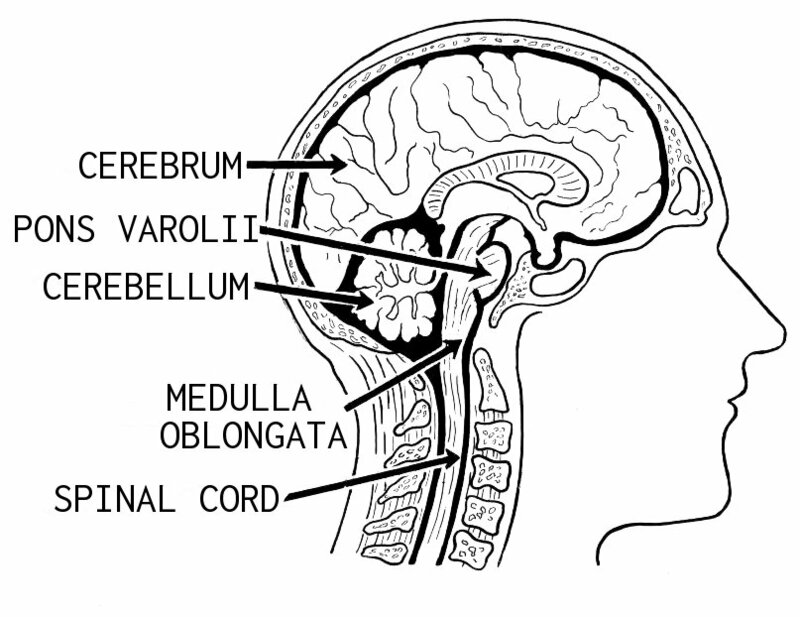 Apparently, Yogananda used to say that the medulla oblongata (a lobe at the top of the spine, at the start of the brain stem) is that seat of the Ego. In Raja Yoga, Swami Kriyananda repeats that assertion several times. Well, yes and no. It pretty much depends on how you define “Ego”. And unfortunately, while not actually defining the term in a specific way, the Raja Yoga book provides a fairly misleading implication for its meaning. A single point of consciousness that has individuated from the divine essence that pervades all things — but which is necessarily intimately connected with that divinity. A bundle of self-centered desires and intentions that are to various degrees completely completely selfish and totally unconnected with anything approaching divinity. At the time Yogananda was teaching, the term had not been part of the popular lexicon for long. So I suspect he intended meaning #1. But today, going on a century later, the term has become so well known and so frequently used in a non-clinical sense that meaning #2 is how the term is commonly understood. Now, to a degree that statement is true. But in another very important sense, it is not true. The effect of the Inner Smile and the Orbital Lift (mentioned below). What Kriyananda called healing energy, and which seemed to me to be a Golden Healing Light, said to enter at the medulla. The Hindu term for that point (“The Mouth of God”) because that is literally where God breathes life into the body. There are various ways to stretch the medulla. For example, the Inner Smile, the Orbital Lift, “lengthening the back of the neck” when you sit for meditation, and the forward-bending of the head in Jalandhara Bandha. Each of them enables internal energy flows and activates the spiritual connection. Techniques that Compress the Medulla also activate it, including the Tense/Relax Technique and the chin-lift that occurs in the final stage of Jalandhara Bandha done “Right”. Those techniques also activate spiritual energy. This one occurred to me while listening to the Ananda Christmas concert. The music was spiritual and uplifting, and much of it was classical. As I did as a teenager when listening to particularly uplifting classical music, I found myself tilting my head backward! Now, if uplifting music that activates your spiritual connection causes you to tilt your head back, and a proud person also tilts their head back, then either “pride = spiritual consciousness” or pride and having your head tilted back are not the same thing! Let me state for the record that they are not the same thing. I know that I when I see someone driving around with their head back, “staring down their nose” at the world, I feel an immediate dislike for that person! But there, in that phrase, lies the clue. It’s not so much the position of the head as it is the direction of the eyes! If you’re head is tilted back and you’re looking down, you’re arrogant, prideful, and disdainful. But if you’re head is tilted back and you’re looking up (or more importantly, if your eyes are lifted), then you’re spiritually energized and connected. In short, while I believe it is fair to say that the “medulla is the home of ego” in a very precise, clinical sense. I don’t think it is fair to say that at all, in the sense that that word “ego” is commonly perceived, these days.